Over the past five years, teen drivers were involved in nearly 14,000 fatal crashes and more than 4,200 of those crashes involved speeding, according to federal data. And a new AAA survey of driving instructors identifies speeding as one of the top three mistakes teens make when learning to drive. 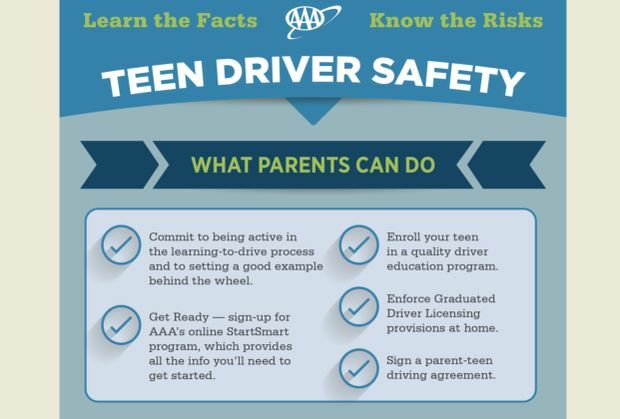 With 65 percent of those instructors also reporting that parents today are worse at preparing their teens to drive compared to a decade ago, AAA cautions parents that their involvement is key to preventing deadly mistakes behind the wheel. Nationally, traffic crashes continue to rank as the number one cause of death for 16-to 19-year olds, according to the AAA Foundation for Traffic Safety. In addition to revealing that parents today are worse at preparing their teens to drive than they were 10 years ago, driving instructors report that parents often set a bad example through their own behaviors. A recent survey from the AAA Foundation for Traffic Safety found that drivers aged 35-55 commonly report dangerous behaviors when behind the wheel. Research also shows that teens often times mimic and model their driving after their parents or family members. 77 percent of drivers aged 35-55 reported talking on a cell phone while driving compared to 68 percent of teen drivers.